On Saturday 20thOctober Hannah Turner and Young Phoenix singers combined forces to put on a concert of varied vocal and instrumental music in aid of the ongoing work of ASHA, which receives no permanent funding and relies on small grants and donations. Hannah performed a variety of solo pieces, some new and others well known and Young Phoenix chose a selection of mainly unaccompanied songs from their growing repertoire. Their programme was very much enjoyed and Trinity is grateful for their willingness to come along and help raise money in such a good cause. The event attracted a good audience from local churches, the Methodist circuit as well as the wider local community. A group of volunteers and asylum seekers from ASHA also attended, which included a trio of drummers form various parts of Africa who welcomed folk as they came into church with a burst of drumming .They also performed three pieces half way through the programme .Their enthusiastic drumming and singing complemented the typical English programme really well and afterwards everyone from ASHA enjoyed meeting with folk from Leek which they don’t get much of an opportunity to meet. One of the asylum seekers had brought for sale a number of his paintings evoking scenes from his home country, which were sold in aid of ASHA. It is hoped that more of these will be available on Eva Massey’s craft stall at Wednesday Coffee mornings at Trinity. In the absence of Angela Glendenning a Trustee at ASHA ,who was feeling under the weather that day ,Godefroid Seminega concluded the evening by explaining what ASHA is all about and the huge gratitude felt for the moral and financial support that evenings such as this provided. It’s only three weeks since the launch of our #LiftTheBan campaign to give people seeking asylum the right to work. With your help, we’ve shown millions of people – including senior politicians – that the case for lifting the ban is undeniable. We’re overwhelmed by how strongly the public has come out in support of the rights of people seeking safety in the UK. Research shows that 71% of the public are behind us on this issue, but to see that put into practice is something else entirely. There is still a long way to go, but we’re now more confident than ever that we can transform the lives of people seeking asylum by winning their right to work. We could not do it without your help. There’s a lot more to come from the #LiftTheBan campaign, so please keep helping us push to turn cross-party backing and public support into real change. Photo of Asha’s footballers playing and their bicycles donated by Asha to help them moving and to come to play. Thank you for all of the donations. 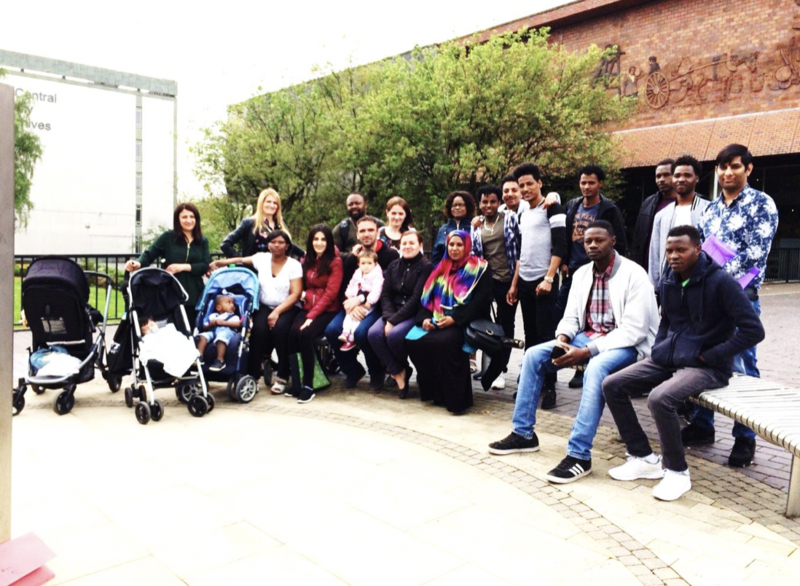 The bikes donated are regularly being used to help a number of refugees to access both programmes to improve health and wellbeing, socialisation and employment and volunteering opportunities. The West End Methodist Church hosted a three day Christian Aid exhibition and invited ASHA to display our Women’s Group Craft Work on the final day Those who don’t know the church and its community centre and café won’t know that not many moons ago it was the very dilapidated West End Pub! 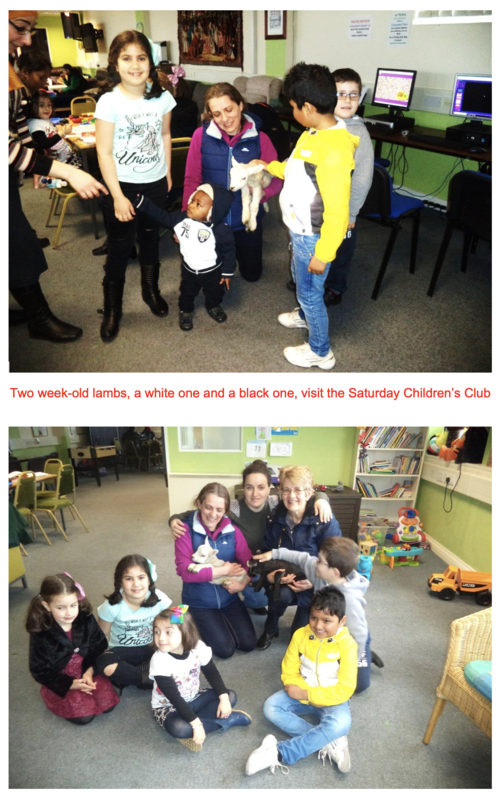 It is now a superb community hub with a whole variety of activities to engage every age group. ASHA was delighted to attend and pleased to report that the craft work raised £33. ASHA was very pleasantly surprised to be invited to the Vegan Festival and even more surprised to learn that ASHA would be a beneficiary. With support from ASHA trustee Cath Ralph, Manjula and a couple of other asylum volunteers ASHA set up a stall and took along some of the women’s craft work for display and sale. The happy outcome for ASHA was a donation of just under £600. We already have a date for the festival in 2019. It is on Saturday 10 August. Responding to an invitation from Stoke and North Staffs Women’s Network women from ASHA’s sewing group took part in a Craft Fair at Burslem School of Art. ‘I am writing to ask you to pass on thanks to ASHA’s craft group of women and children, and also to Godefroid, Lydia, Eva, Ryn and Rufieda for their wonderful contribution to the craft day held in honour of International Women’s Day at Burslem School of Art last Saturday. Angela supported in her usual invaluable way as did Cath Ralph. ‘The ASHA women and their lovely craft work and friendly manner played a big part in the success of the day, and the children were very well behaved. Godefroid and Lydia were very efficient and good humoured in planning everything in detail beforehand along with the helpers, and Lydia was a great ambassador for ASHA on the day. 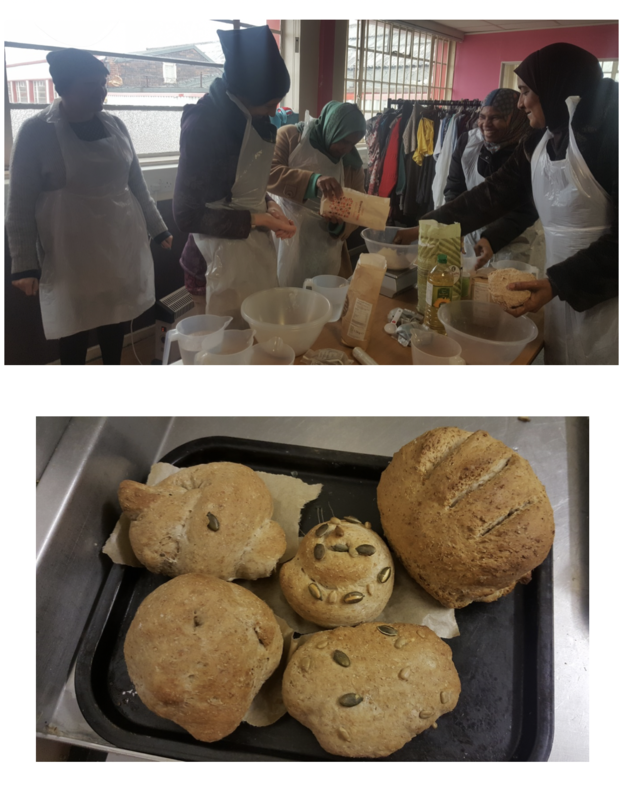 Fourteen members of the Women’s Group enjoyed baking bread under the expert tuition of two members of B’arts, Rebecca Frankenburg and Siobhan McAleer. Their products were delicious and demonstrated that the ASHA oven works well! We hope this is a prelude to more ASHA users taking advantage of the myriad creative activities which take place B’arts.